of life and style: Who Likes Winning Things?! Guy's today's post is pretty freaking epic. If there is one post that you ought to read today it's probably this one. Wanna know why?.... 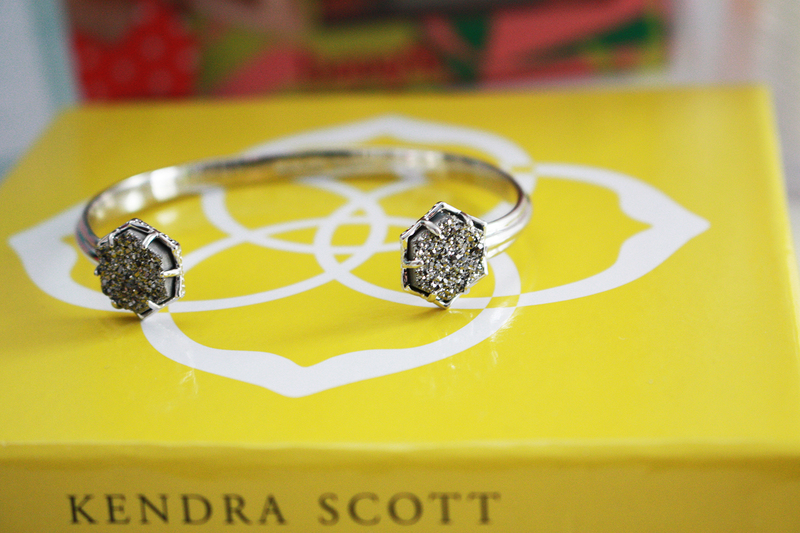 Because it's the FIRST EVER GIVEAWAY here on 'of life and style'!!!! Yes you read that right, a GIVEAWAY! Meaning FREE STUFF! 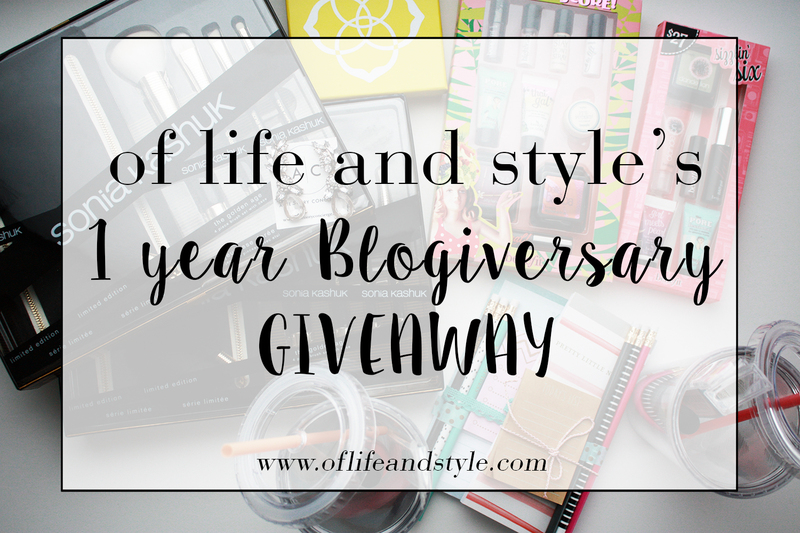 In honor of my 1 year blogiversary being on Friday I'm doing a giveaway to say thank you for all your support this past year and for sticking with me! I seriously wouldn't be here if it weren't for you guys. I never thought in a million years I'd be here doing this. Like whaaat! 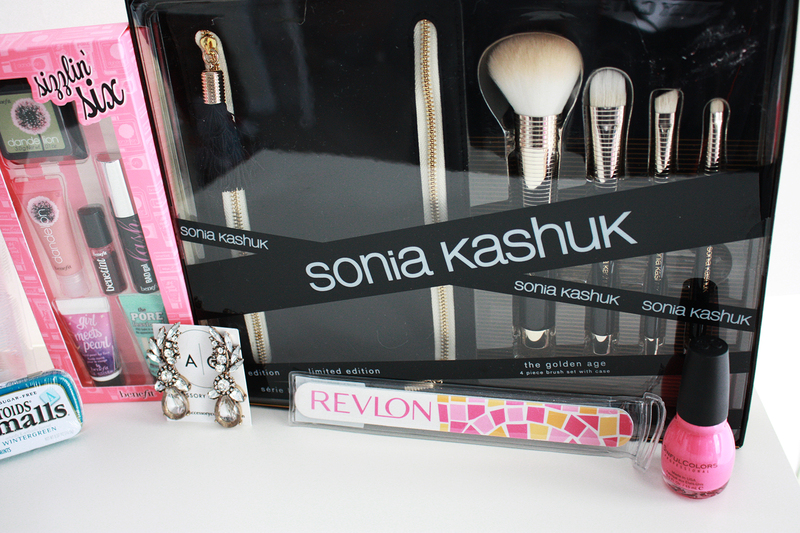 You guys are seriously awesome so I cannot wait to give this stuff away! I'm beyond excited! So enough of me chitchatting and let's get into what you could win!! HOW AMAZING ARE THEY?! And the best part is that there's not one, but TWO prizes! BOOMSHAKALAKA! So whatcha get if you win? Sinful Nail Colors polish in "24/7"
All of the prizes total to be over $200 worth of stuff!!! ARE YOU EXCITED?! CAUSE I AM! So how do you win these awesome prizes? I'm glad you asked. 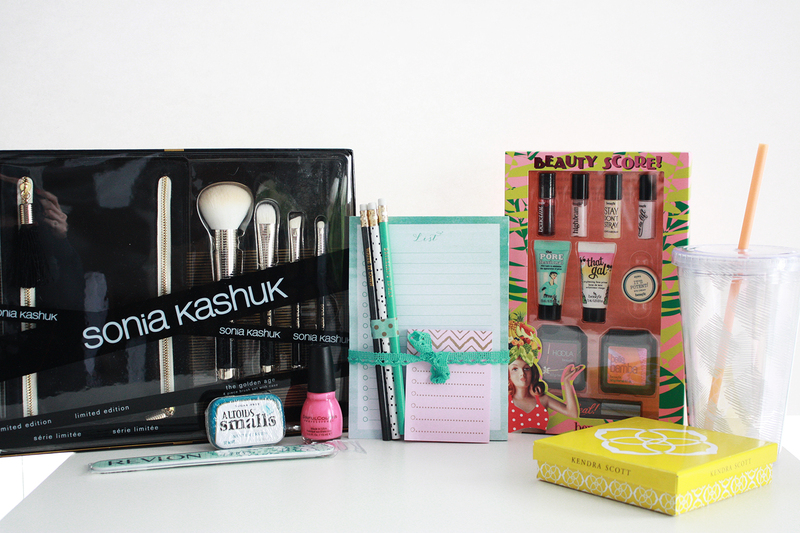 Just enter via the Rafflecopter widget at the bottom and you're entered to win! It's that easy! You do have to be at least 14 years or older, a resident of the United States (sorry to all my international followers :( Next time!) and only enter one, valid email per entry. If you don't have all of the social media networks listed, no worries! Just fill out the ones you do! I will be checking to see if you follow me when I pick the winner so be sure you are! Oh and failure to abide by the rules listed will result in disqualification so make sure you follow them! The giveaway will last from today, March 9th until Saturday, March 14th at 12:00am CST. The winner will be announced Monday, March 16! Be sure to check back then to see if you've won or on my other social media networks! 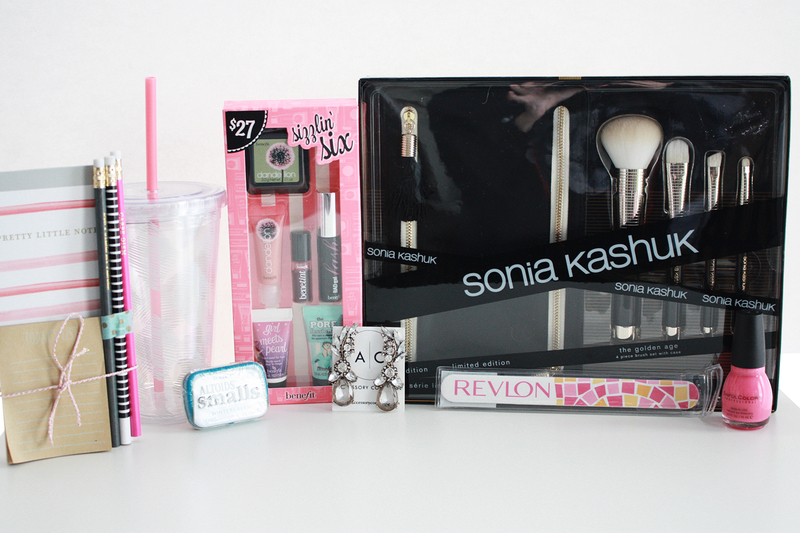 Make sure you click on the little bubbles under the prize name to enter both! I love your post called "READ MY LIPS" because it's totally right up my ally. I can appreciate some good lip swatches and I liked that yours were very similar and well executed! Great job!!! I loved "Weekend Reading No. 5". All of the links were awesome. I especially loved the Lady Gaga one because I somehow had no idea she was going to be on AHS. All of your posts are so fun to read. I really liked your posts about your recent trip to California! I love hearing about other people's vacations and your pictures were so fun and cute! Looks like you had a great time! Thank you girl! That means alot! :) I hope you win too!